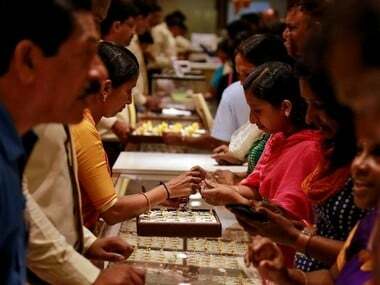 New Delhi: Gold prices on Wednesday dipped by Rs 100 to Rs 32,750 per 10 gram here on lacklustre demand from jewellers, according to the All India Sarafa Association. Silver prices, however, advanced by Rs 20 to Rs 38,420 per kg. 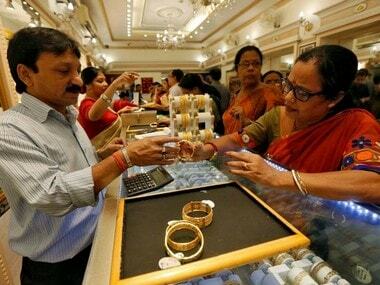 Traders said gain in equities market reduced gold's safe-haven appeal and sluggish demand from local jewellers weighed on the prices. 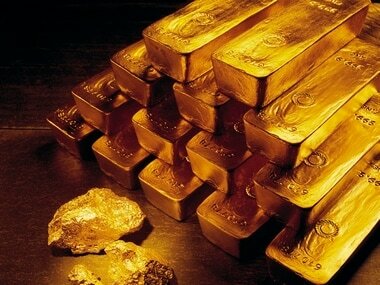 In the national capital, gold of 99.9 percent purity declined by Rs 100 to Rs 32,750 per 10 gram, while gold of 99.5 percent purity fell by Rs 120 to Rs 32,580 per 10 gram. 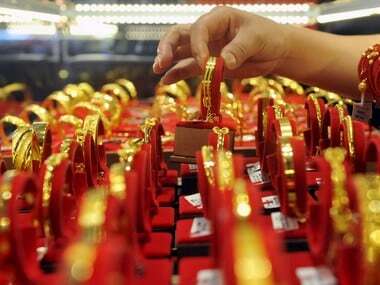 Sovereign gold, however, remained unchanged at Rs 26,400 per eight gram. Silver ready rose by Rs 20 to Rs 38,420 per kg and weekly-based delivery reduced by Rs 28 to Rs 37,420 per kg. Silver coins were unchanged at Rs 80,000 for buying and Rs 81,000 for selling of 100 pieces.